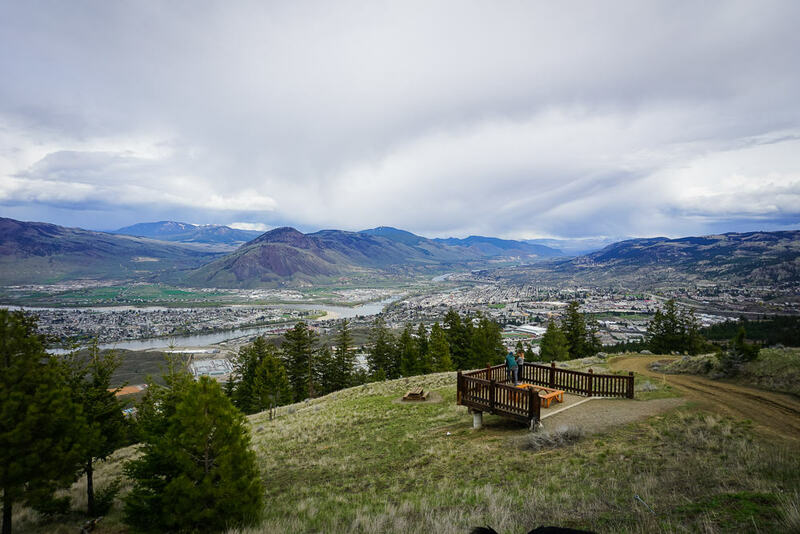 Highlight: Spectacular views of Kamloops at the top! To get there: Kenna Cartwright is only about a 10 minute drive from downtown Kamloops. To get there, take the Trans Canada Highway west towards Vancouver and take Exit #366 North along Copperhead Drive. Keep to the right and then turn left onto Hillside Drive. Follow this road for another 400m and then turn right into the Kenna Cartwright parking area. This is one of many access points to the park, but the best one for this specific trail. Or get directions directly to the park from here. The Tower trail is very well maintained and wide. You will have no issues following the trail all the way to the tower and viewpoint at the top! This trail is a gradual incline the entire way up, so be prepared and take as many breaks as needed. This trail is perfect for families and is easily accomplished by children. Kenna Cartwright is also a off-leash dog friendly park, so bring your dogs! In the summer, be sure to bring some water as well as this trail is almost completely exposed. Luckily, that means there are fantastic, unobstructed views of Kamloops at the top of the trail! At the top, you’ll also find a lookout platform as well as a little picnic table. From this same parking lot, you can access a number of other trails of varying difficulty including a local favourite the Sunset Trail!